All electronic life is present at the gargantuan Consumer Electronics Show, which took place in Las Vegas last week: from mass-market phones and cameras to smart hairbrushes and empathic cars. 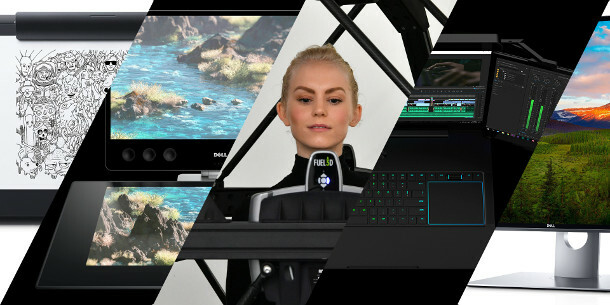 But in amongst the deluge of consumer devices and tech toys, CES 2017 featured a number of devices of real interest to professional CG artists, including graphics tablets, ultra-hi-res monitors and 3D scanners. Below, we’ve rounded up five of the most eye-catching, along with a summary of what makes each special. You’ll need deep pockets to afford some of them – and one is still a proof of concept – but we think that collectively, they illustrate where graphics technology is heading next. A 27″ horizontal “do surface” – in other words, a giant touchscreen pen display. It has similar hardware specs to Wacom’s Cintiq 27QHD touch, but its MSRP is a whopping $1,000 lower. The Canvas has a 16:9 27″ QHD (2,560 x 1,440 pixel) display supporting 100% of the Adobe RGB colour gamut, with 20-finger touch support, enabling two people to use it simultaneously. The asking price also includes the Canvas Pen, a stylus with 2,048 levels of pressure sensitivity, and the ‘Totem’, a circular controller similar to Microsoft’s Surface Dial. Wacom’s Cintiq 27QHD touch pen display is the same size and resolution. However, it has a lower colour gamut (marginally – 97% of Adobe RGB), 10-finger touch support, and a much higher MSRP: $2,799.95. Where the Cintiq seem to win out is the quality of its peripherals: although it will ship with a Wacom driver, early reports suggest that the Canvas Pen still “isn’t as good to draw with” as the Wacom stylus. A new line of graphics tablets that let users sketch on paper and capture the result directly as an SVG or PSD file without needing to scan the drawing. There are two models: the 13-inch Medium and the 17-inch Large tablet. Both ship with Wacom’s new Pro Pen 2 stylus, which supports 8,192 levels of pressure sensitivity. Users can also clip drawing paper (A5 in the case of the Medium, A4 in the case of the Large) over the screen and draw on it with Wacom’s pressure-sensitive FineTip gel ink pen. The pen itself also supports 8,192 levels of pressure sensitivity, and drawings are captured digitally via Wacom’s Inkspace app, with the tablet storing “up to 200 multi-layered or 1,000 one-layered drawings”. There are a number of smart pen systems on the market, including Wacom’s own Bamboo Spark, but they’re smaller, less accurate, and geared more towards note-taking than drawing. As far as we’re aware, the Intuos Pro Paper Edition is the first professional-quality graphics tablet to enable artists to draw on paper and capture the results with the same fidelity as the tablet itself. The first commercially available 8K display. Dell is targeting it at fields in which “in-depth image zooming is critical”, including photo and video editing. The 32-inch display has a pixel density of 280ppi and a total resolution of 33.2 million pixels – the 8K UHD standard for digital cinematography. It can display 100% of the Adobe RGB colour gamut. 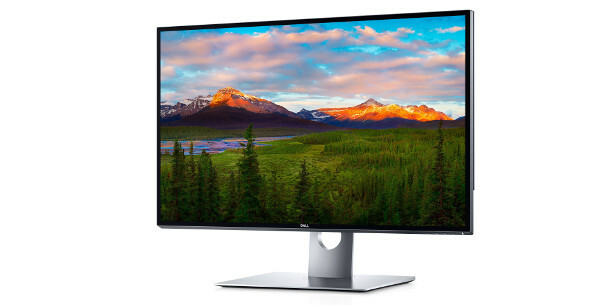 We can’t find any official specs for dimensions or weight, but in terms of connectivity you get two DisplayPort 1.3 ports, four USB 3.0 ports and audio line-out. 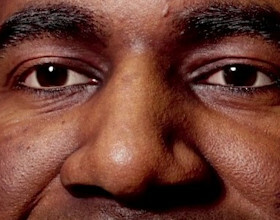 None yet. Sharp showed off an 8K display at Japanese trade show CEATEC last October, which The Verge described as “as thick as a hardback volume of Lord of the Rings”, but it’s still just a prototype. A proof-of-concept triple-screen laptop with three fold-out 4K displays. It’s pitched as a gaming machine rather than a workstation, but publicity stills show it in use with Premiere Pro. The prototype on show at CES had three 17-inch 4K IGZO displays, powered by a Nvidia GeForce GTX 1080 GPU. If used as a single screen, they have a maximum resolution of 11,520 x 2,160px. At 1.5 inches in height, Project Valerie isn’t much thicker than a standard gaming laptop or mobile graphics workstation, but at 11lbs, it’s much heavier – almost twice the weight of HP’s ZBook 17. Although this is the first triple-screen model we’re aware of, multi-screen laptops aren’t new – Lenovo was making them as far back as 2009. If it makes it into production, Project Valerie seems likely to suffer the same drawbacks – weight and price – but someone certainly thought it was cool: the prototypes were stolen from CES on Sunday. An “easily transportable” 3D scanning rig geared towards facial scanning, based on the same photogrammetry technology as Fuel3D’s desktop and handheld scanners. The system is capable of recording both geometry and surface colour, with a maximum resolution of 0.2mm. Each scan takes around 0.3 seconds. The scan data can be exported in STL, OBJ, PLY and 3D PDF formats. Handheld scanners like the Artec Eva are often used for facial scanning, but as a camera array system, the Fuel3D 360 is closer to the capture stages of service bureaux like Ten 24. Commercial capture stages have much larger capture volumes and lower scan times, but Fuel3D’s capture resolution is very competitive, and clearly, the rig is much easier to transport.